You are here: News / Backstreet Boys Declare Charlie Puth a ‘WannaBieber’ & “Harry Without the Styles” in Epic Battle Rap Showdown! Backstreet Boys Declare Charlie Puth a ‘WannaBieber’ & “Harry Without the Styles” in Epic Battle Rap Showdown! Backstreet Boys and Charlie Puth filmed a hilarious episode of Drop the Mic recently and let’s just say nothing was off-limits as they unleashed their inner rappers during an epic insult-fueled battle. The TBS series comes from host James Corden (the guy behind Carpool Karaoke, which we’re still dying to see the boys take part in) and is based on the comic battle rap segment from his talk show, The Late Late Show with James Corden. Hosted by Method Man and Hailey Baldwin, each episode sees entertainers and athletes go up against each other to see who can fight it out for a prized trophy. It was a battle of the pop stars, new and old, as BSB and Puth showered each other in shade. The “Attention” crooner also wondered why Nick Carter was “the cute one,” and compared McLean and Kevin Richardson to a “Before and After” photo. Howie Dorough and his crew didn’t shy away from getting lyrical revenge on the 25-year-old singer. The boys saved the best for last with Richardson, who we all know is BSB’s resident Snoop Dogg, getting right up in Puth’s personal space to ask whether his recording contract with Ellen DeGeneres’ label, eleveneleven, required him to also look like the TV host. Nice one, Kev! The shade fest was in all good humor though, and ended with hugs all around – and even talk of a possible collaboration! 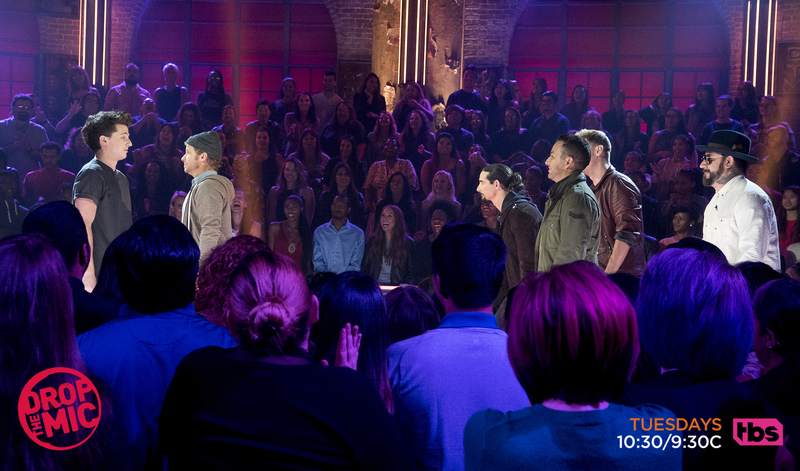 *Catch BSB and Charlie Puth’s episode of ‘Drop the Mic’ at 10.30/9.30c on Tuesday 21 November on TBS.